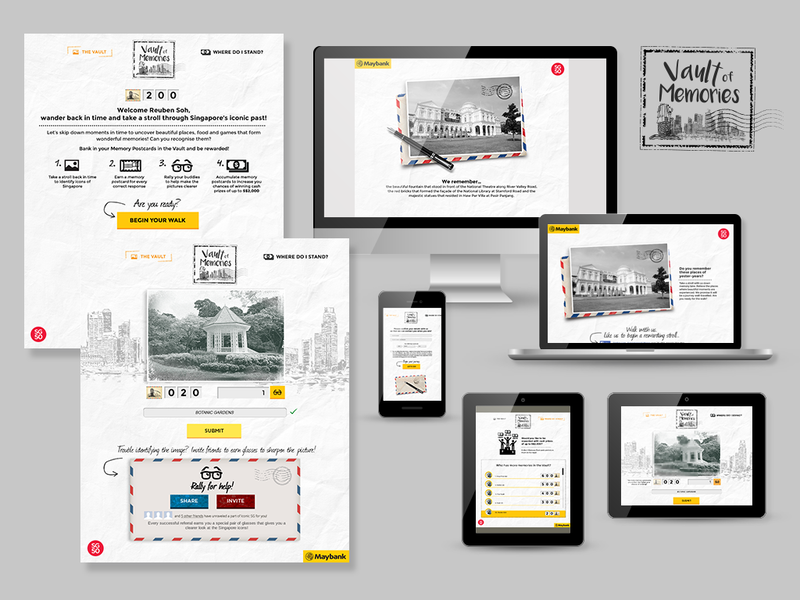 Maybank Singapore has partnered with Singapore-based creative agency, noisycrayons, to launch Vault of Memories, a commemorative campaign in celebration of the nation’s golden jubilee. The campaign presents 4 million Singaporeans with digital visual cards that feature iconic food, activities, and landmarks of Singapore’s past that participants have to identify, in an evocative and stirring test of one’s knowledge on the country they live, work and play in. The engagement incorporates the element of social referrals by having participants make referrals to earn cards that are sharper than the default to gain a competitive edge over other participants. Winners are to receive $2,000 in cash from the bank. Maybank hopes that its latest campaign will strike a chord with the romantics and wake, within the industrious, enterprising Singaporean, a palpable sense of patriotism—reminding one of the nation’s origins and humble beginnings. It is, therefore, important that the campaign is able to capture and produce all this emotive sentiment while still delivering something fun for its fans and stakeholders, under different social settings and mobility. The design of the campaign allows for play, both as individuals or amongst groups of friends. The campaign is also run on applications that are responsive to different mobile devices, allowing for play during commute. Maybank Singapore’s Vault of Memories is a SG50 collaboration between Maybank Singapore and SPH Magazines affiliate, noisycrayons, to forge meaningful digital relationships between the brand and her consumers.